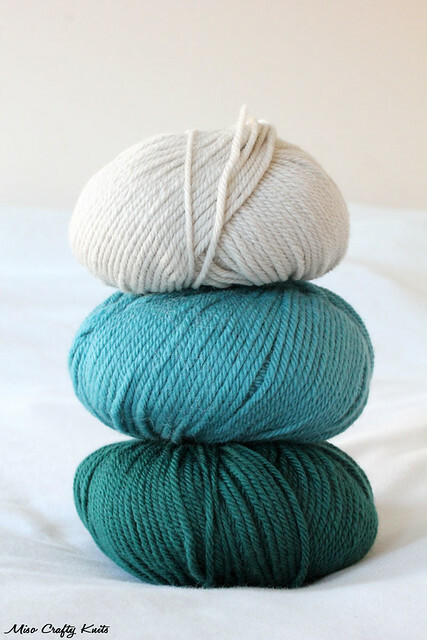 Miso Crafty Knits: And There's Two! Wow! That was the fastest weekend ever! Was it not? I'm always surprised when the weekend is over and the normal weekday routine has to commence once again. I think the weekend went by faster than usual simply because we didn't have our usual "Daddy time". Brett went on a "man date" on Sunday after realizing that he never gets proper "me time" - which is true, he's either at work or taking the kidlet off my hands. No solid Brett-time. So I was more than happy to give him a chance to hang out with a new buddy and get in some non-work and family time. Plus, he did catch that night's dinner by bringing home some delicious crab! I'm happy to report that I, myself, took it über easy this past weekend anyways. As in I didn't do any housekeeping (except for a load of laundry...mainly cause the Munchkin needed to wear pants...eventually), spent a ton of time at the beach with the Munchkin, worked on (and finished!!) a secret knitting project, painted, and most importantly - I had drastically reduced my internet/computer time over the weekend. I can get pretty glued to the computer and can waste so much time on the internet that over the weekend I vowed that I can only do random check-ins with my phone and can only go on the computer when the Munchkin was in bed or playing with Dad. 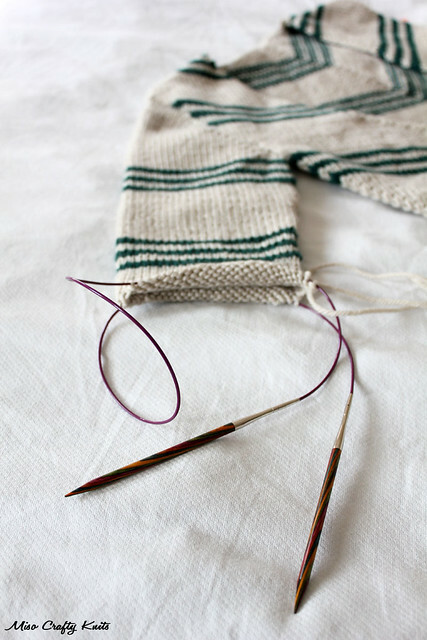 Limiting my online time really bumped up my knitting productivity, I should definitely do this more often! Now that the secret knitting is finished I can go back to knitting on Delancey. I'm so far behind on this project for the KAL, but that's ok. I'm not going to let it stress me out. I'm now just more concerned with finishing it. Ugh. And there's two to deal with! If anyone is looking for me, I'll be in the corner swearing at sleeves.